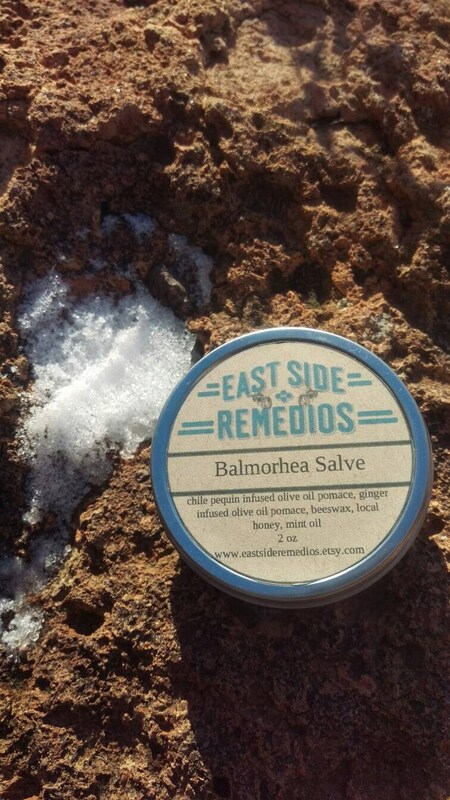 This salve is nature's own heat pad. It warms and soothes sore muscles and joint. We infuse olive oil with home grown Chile pequin, spearmint, clove and ginger. 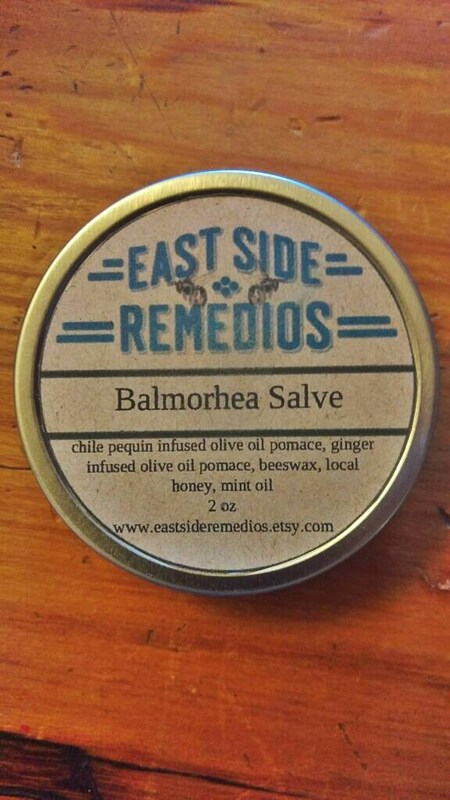 Beeswax and honey from our own hives round out this salve.